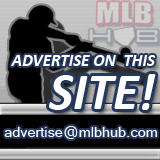 In what looks to be a pretty solid rumor by brewerfan.net's "Marc Newfield of Dreams" (I'm jealous of the name, by the way) Tony Gwynn Jr. is headed to the DL retroactive to April 4 and AAA middle infielder Hernan "Hurricane" Iribarren is headed to Milwaukee in what can be assumed to be a short stint until Yovanni Gallardo returns to the club. Iribarren, a left-handed hitter, seems to be the same type of offensive player as Gwynn (lacking power, compensates with speed). He seems to bring a bit more propensity than Gwynn in both batting average and defense. But he has ascended through the farm system quite fast, as this season was his first in Nashville... thus until further notice, treat it as a short-lived call up. The Brewers were supposedly giving him some reps in the outfield, where - barring injury - he seems a better fit for now. Upon his arrival to the club, Iribarren will reportedly wear 26, a numeral previously sported by Damian Miller and the illustrious Jeff Cirillo. Best of luck, Hernan. Lets get that pesky first hit out of the way. But sticking two his MO, Harang threw strikes, lots of strikes. Of his 99 pitches, 74 were for strikes. It was the perfect setup to face an aggressive-swinging team like Milwaukee. "The fact they know I'm going to be out there throwing strikes make them have to swing the bat.," Harang said. "I'm trying to get strike one so I can get ahead and make them hit my pitch. I was able to do that today." This kind of logic is too difficult for Ned to understand. Dave Bushs in ability to throw more strikes than balls doesn't concern our skipper! Cirillo is (kind of) back!